It was the day after the first event. Fubuki had asked Aoi to meet her at the Magallanica Branch after hearing about her problems with Aqua Force. She'd arrived a bit before the time she told Aoi so she'd have a moment to make sure any prep was done for when Aoi got here. Rental Aqua Force decks were the most important thing for what Fubuki had planned, and she'd managed to secure several. She had her old Blue Storm Legion deck, a Blue Storm deck that used the older Breakride with the original Maelstrom, and a few other less notable decks like Cobalt Wave Dragon. With more than enough decks to keep Aoi busy for most of the day, Fubuki leaned back against the wall outside of the fight room she'd rented. It was a blessing that the branch was willing to let her borrow so much for this, and for most of the day too. Fubuki didn't even want to think about how much this was all going to cost her in the end, whether it be through money or through doing more favours for Umi. After taking the last swig of sake she had left over from yesterday, she let out a sigh. "At least I can't say today will be boring." Aoi Undyne had lost her synchronization with Aqua Force after the events of the Reaper Invasion, despite doing well in the Messiah Scramble. Without Maelstrom's voice and Hana's words on how Ripples may not be helping her grow better due to their stale gameplay... The child of potential was in a slump, worrying about the connection between herself and her favorite clan. That is when Fubuki had requested Aoi come see her at the Magallanica branch, to which the gumball had naturally agreed to. It would be kind of embarrassing for the masters like Haruka, Jellal, and those back in China to hear that even the invincible cheering gumball was concerned for the future. But those feelings were washed away with Fubuki, as the eyepatched lass was one of her best friends. This prompted Aoi to bring along her collection of decks she had been trying over the past few years to rekindle her drive and find her stride. Several cases were attached to the belt of her skirt as she entered the Magallanica branch, to which she was immediately noticed by an employee who was assigned by Umi to help Fubuki out. Said worker escorted the gumball to the rented room, finding the other girl outside. "Fubuuuu!" Aoi waved, calling out to her and running forward. "Ah, you're here. Good," Fubuki said. She looked down at the number of deck cases around Aoi's belt and realized she probably didn't need to get so many rental decks. It seemed Aoi had actually thought to prepare herself for once. Still, more decks probably wouldn't hurt, right? Other than her wallet, at least. Fubuki turned around and opened the door to the room she'd rented. Behind the door was one of the resting lounges for a team with one of Magallanica's large holographic fight rooms just beyond it. There were some cases of bottled water in the room, but not much else besides the furniture. Fubuki walked through out into the fight room and placed her deck on the near fight table. "Well, let's just jump into things, shall we?" Aoi bounced in place, giddy with glee for hanging out with her friend and wonder for what they could possibly be doing. She assumed it was help with Aqua Force and that led her to bring all her decks, but didn't quite understand what the solution was Fubuki had in mind. This led the gumball to hop like a rabbit behind the eyepatched lass into the well-furnished room with a holograph-equipped fighting room nearby. "Oooo..." A little more preoccupied by how soft the couches and chairs were, she ended up wasting time - as expected - while leaning back in comfy seats or lying down on fluffy cushions. "Aaaah~" This was the life, clearly. These lounges were great, and you got to experience this majesty if you paid for it... or had a team that gets to go in these rooms all the time! Hm, maybe Aoi would have to bug Jessie about the idea of trying to get a comfy lounging room. This brought her to respond to her friend that had gone into the next room, placing a deck on the fight table. "Wait." Aoi spoke with a head tilt. "What are we doin'?" Fubuki let out a sigh at her friend's behavior. While she had expected it and had some entertainment to it, that wasn't what they were here for today. "Simple. We're going to cardfight. 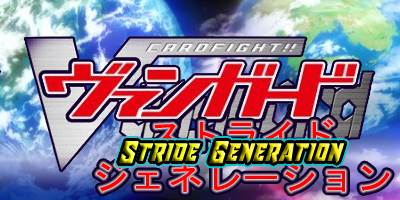 And we're going to cardfight, and carfight until you've gone through every single deck we have available. Then we're going to take a break, maybe go get some lunch, and do it again against my Nightrose. We're going to keep cardfighting until either my rental for this room runs out, or something starts... I don't know, speaking to you?" It seemed Fubuki herself didn't really know how her plan was supposed to help, just that she thought it was going to. "I have it rented for most of the day, so we have plenty of time. But, as they say, time is money..."
"But time isn't money. One is a concept, the other is paper!" The expression Fubuki gave after her explanation had completely flown over Aoi's head. Though, what was more impressive: her obliviousness or the fact that she could actually articulate her knowledge that time is a concept? Regardless, she wasn't sure how the multitude of fights would help her hear Maelstrom's voice. She had been fighting plenty, she thought, but there could always be something missing to the equation of finding her avatar again. That, and her friend was going out of her way to help. Renting this room must've been a fair bit and all the fights must've been taking time out of Fubuki's schedule. There was no way Aoi would be content with trampling upon the heartfelt efforts to assist, so the gumball dragged herself off of the comfy furniture... after a few moments of savoring the feeling... a couple more minutes... lil' bit longer. Eventually, Aoi rolled off the couch, and came into the fight room with her decks. "I'm not sure if this will work but... I'll surely hit something with your help, Fubuki. So we'll get a result today!" All she had was faith, and that was enough. "It's, it's an... Oh, nevermind," Fubuki said with a facepalm. Aoi taking things too literally wasn't anything new, and trying to explain it in a way Aoi understood would probably take longer than the fights themselves. At the very least, longer than Fubuki wanted to spend. Though, it seemed Aoi herself wasn't in much of a rush. Part of Fubuki wanted to drag her friend off the couch early, but at the same time letting her enjoy herself for a few minutes was probably harmless enough. "Alright. Let's get started." The first wave of fights began, as they started tackling the mountain of decks to play through. It certainly wasn't an easy time for Aoi, most of the games going to Fubuki, though Aoi still was able to win a few with her own skill. It was past noon by the time they got through the first wave of fights, and Fubuki collapsed onto one of the couches herself, letting out a groan of exhaustion. "Anything so far?" Aoi and Fubuki began to spend their hours fighting with varying Aqua Force decks. Despite being the Chinese champion, Aoi still had a reasonably difficult time fighting her friend, bringing about many even games and a steady win rate between the duo. Not once did she hear Maelstrom's voice, not once did she even hear Militiades', causing her to realize that just like in the Reaper Invasion, she had lost the ability to listen to her units. However, this did not deter her to hopelessness. It was only thanks to the earnest response in battle Fubuki gave the gumball that helped to understand what was discovered against Mirai: You don't need to hear the voices of your cards exactly, only to connect via the heart and soul. But the synchronization was still off. Aoi found herself with no good time to perform Legion in Blue Storm Legion, couldn't find any useful opportunities to Stride in Ripples, and her Break Ride hybrid was still all over the place in terms of playstyle. It could do so much, but was never overly decisive without Lambros or Break Riding. Even with the return of her transcended avatars: Admiral Maelstrom and the Blue Wave Marshal Dragon, Tetra-boil. But the restanding Vanguard attack fell off in potency numerous times. On top of all of that, her Lambros turns were infinitely weaker than those in Thavas' deck - the new generation commander of his own squad. The stamina monster that is Aoi had enough energy to not be exhausted, but was left perplexed when it was past noon. Surprisingly, she didn't plop herself down on one of the sofas, but instead sat down and carefully laid out her decks. "Nothing so far..." Aoi was trying to pick up on mistakes in her gameplay, or at least try to understand why even her strongest turns felt mediocre. "I see..." Fubuki said, taking a moment to think. She dragged herself off of the couch and towards her friends' laid out cards, but couldn't really think of any advice to offer to Aoi as far as deckbuilding went, knowing AOi . "Maybe we should go get some lunch. Some food might help you think of something? I know a place with some great lobster nearby." Seafood was the only other thing Fubuki could think of to help her friend out with her problem. You are what you eat, as they say. 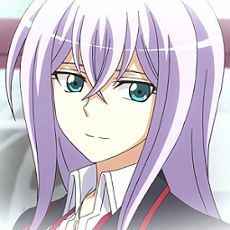 "After that, we can get back to cardfighting. I'll be using my Granblue deck, and fighting against a clan besides Aqua Force might help you see something." "Food is good!" Aoi chirped, switching from a deeply thinking and worrisome demeanor to her usual chipper persona. She had been going through her decks based on her two avatars mainly, keeping a copy of Maelstrom and Tetra-drive in her hands, mindlessly shuffling them about while contemplating their strengths and weaknesses in tandem. The gumball knew the combination wasn't as strong as it could've been, but that wasn't her concern - it was purely just connecting with the clan. "Granblue...?" Aoi repeated Fubuki's next clan of choice, which reminded her that the eyepatched lass had played it against Varess in the Zoo Branch event. "Actually, I've been meaning to ask: what hooked you to Granblue, Fubu? I've never seen you play it until these days." "What hooked me to Granblue? Well... I guess I just wanted to find my own identity again, and Nightrose... felt like she'd be the right one to help me do that." Fubuki gripped her deck case as she said this, a somber look in her eye. She was still trying to find herself again, even after all these years. While she had been making progress, Fubuki still felt somewhat hollow most of the time. Relying on Aoi wasn't going to help her, and while she still valued her friend, she felt the need to distance her image of herself from Aoi, and more importantly Cyan. So, she'd continued to play Granblue. Though, she held back from saying that out of worry that Aoi would take it the wrong way. "I don't know if that's the answer you were expecting, but that's all there is to it. So, ready to head out?" "Find your own identity again huh...? I figured the eyepatch would be that thing actually, considering Bashy dropped his." Aoi spoke mostly in jest, understanding the sentiment, but it was a little hard to tell given she acts like a goof all the time. Still, the girl wore a cheerful smile of attentive interest to convey the feeling. The somber look in Fubuki's eyes was something she wanted to take away, and only had happy encouragement to offer. Finding a solid form of their image was something they'd have to do together, but also for themselves as individuals.